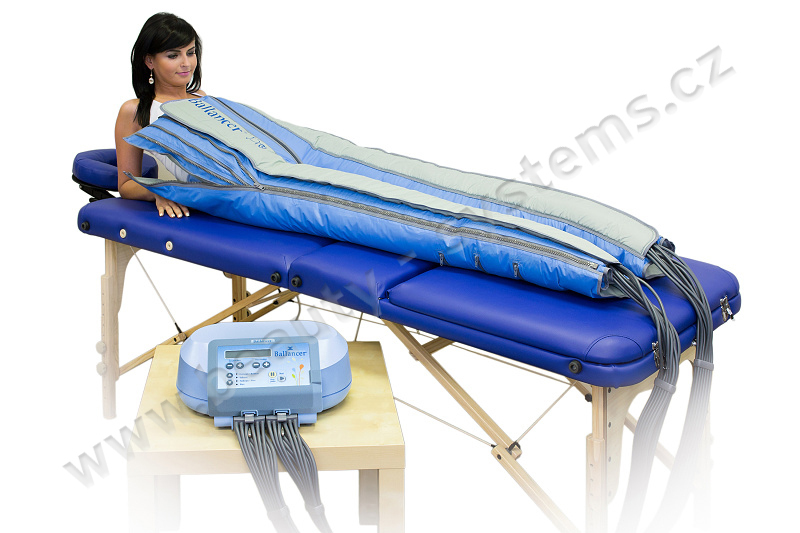 Ballancer lymphatic drainage system is a high-end device, used for basic compression therapy as part of effective lymphatic massage. 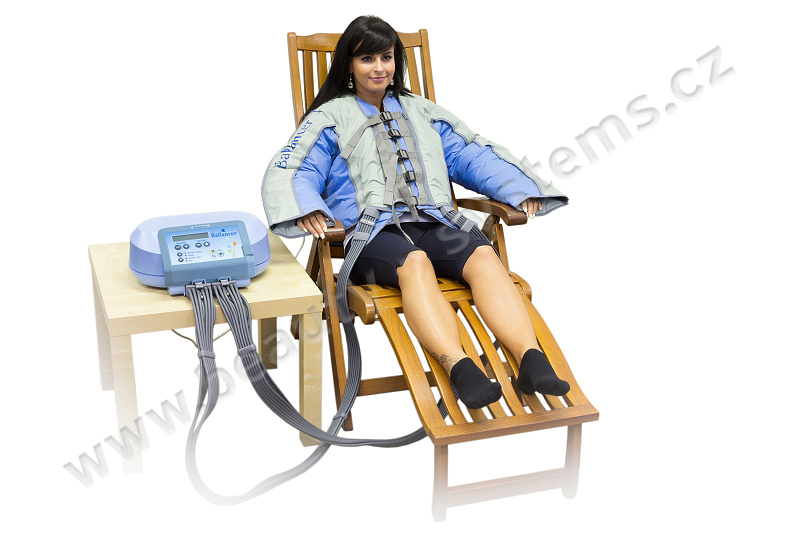 It is used by aesthetic professionals in salons, beauty salons, wellness & fitness centers, as well as specialized body-forming and cellulite-reduction and convalescence studios. Ballancer is one of the highest-quality and best-selling lymphatic drainage systems of it's kind currently on the market. Throughout the four decades that it's been on the market thousands of models have been sold. Ballancer is cabaple of realistically simulating classic manual lymphatic drainage and even sport-conditioning massage, while offering as pre-therapy loosening of lymphatic nodes in the groin (pants) and in the armpits (jacket). And just why is Ballancer better than other products on the market? First, it features 24 separate air chambers in the pants and also in the jacket, which are truly independent and partly cover each other. 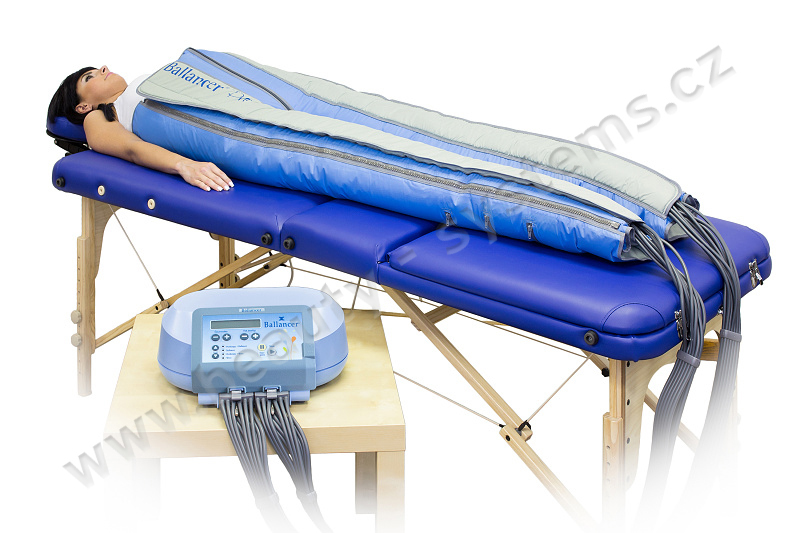 The unique control system can operate several chambers at a time, inflating and deflating different chambers simultaneously which is yet advantage of the Ballancer. Ballancer also enables the continual and precise measurement of the pressure in each chamber individually, so the system knows the exact pressure in each chamber and reacts and controls procedures accordingly. Each chamber is constructed from elastic material for head to toe. Doctors specializing in lymphatic systems most often comment on the devices ability to perfectly simulate highly natural and consistent wave of pressure. Find more information about Ballancer lymphatic drainage system HERE.